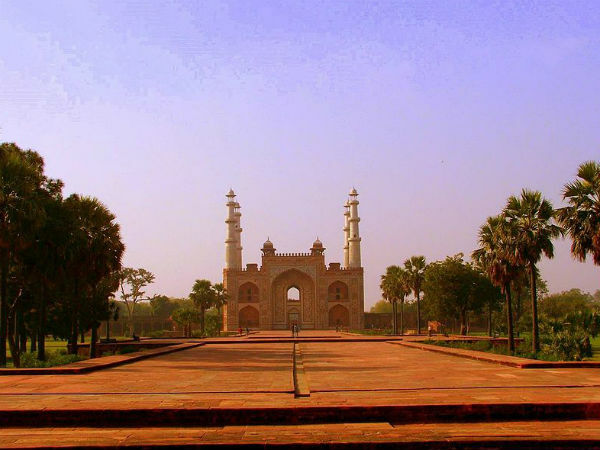 »Akbar’s Tomb – Which Was Built By Akbar Himself! Akbar’s Tomb – Which Was Built By Akbar Himself! Probably, Agra is the only place where you can delve deep down the layers of time and study in detail about the legendary past of the Mughal Empire. After all, it has been their capital for several decades. Today, Agra is the most visited tourist spot in India and is frequented in millions every year. From housing one of the Seven Wonders of the World to age-old monuments, it has a lot within its boundaries which can be savoured. Over a period of time, it has gained popularity amongst travellers across the world, and is an ultimate hub for history lovers. So, if you are one amongst these history lovers who love scrutinising the beauty of ancient places, then you must get yourself to the majestic Akbar's Tomb in Agra. Did you know that it was built by Akbar himself? Let's move on and study all about its history and how to reach it. Akbar's Tomb is built in the locality of Sikandra, which is a suburb of Agra, and was established by Akbar himself in the year in the early 17th century. However, it was completed by his son after his death in the year 1613. Today, Akbar's Tomb is one of the most significant masterpieces of the Mughal architecture. From intricate designs and beautiful patterns over walls of the tomb to its architecturally built minarets and arches, each and every corner certainly deserves to be explored. So, if you are an architecture enthusiast, this age-old building will assuredly interest you to the core. Do you know that this tomb doesn't house the deceased body of Akbar? Yes, you read that right. As per historical records, the tomb was looted by a rebellious Jat leader who took out the bones of Akbar from his grave at this tomb and dragged them all over the streets of Agra to avenge his father's death. Irrespective of all this, thousands of tourists and travellers from all over world flock the monument and capture its captivating beauty. If you are an ardent lover of history or architecture, you cannot miss out on exploring such an amazing marvel of ancient India which is no less not than a wonder. Surrounded by a beautiful garden and narrating the age-old legends of the Mughal Era, Akbar's Tomb has everything that can pacify the heart of a history lover. Here, you can learn a lot about the evolution of India. Moreover, it is located in Agra, and hence you can visit other monuments, such as the Taj Mahal and the Agra Fort. Agra experiences an extreme type of climate and is not a preferred destination during the summer season. The best when you can explore the beauty of Akbar's Tomb in a comfortable and pleasant environment is from October until the end of February. However, it is visited by history lovers throughout the year. By Air: Agra has an airport of its own, and hence you can take a direct flight to Agra and then from there, you can hire a cab to reach the tomb. The distance between the airport and the tomb is 14 km. By Rail: Agra also boasts of it great rail network. You can catch a direct train to Agra and then from there, a cab to reach Akbar's Tomb. By Road: Being one of the significant monuments, it is frequented by tourists from all over the world. Therefore, it is well connected by road.